Large volumes of pooling water from the Amazon River set in motion a chain of events that led to the deaths of 223 horses in Brazil in 2011 and 2012, a study suggests. The plentiful water from the Amazon during the rainy season on the eastern part of Marajó Island pooled in the fields which, together with hot and humid conditions, created conditions favorable to the rise of blood-sucking insects. 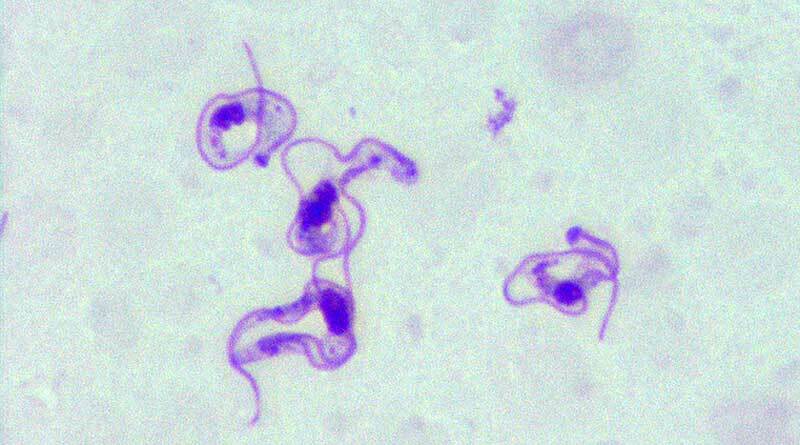 These insects acted as a vector to transmit Trypanosoma evansi, a dangerous protozoan, to the horses. Researchers from Universidade Federal do Pará, writing in the journal Ciência Rural, reported on the two outbreaks of the protozoal infection in the municipality of Chaves, which lies on Marajó Island, in Brazil’s Pará State. Marajó Island is located at the mouth of the Amazon. The first outbreak occurred in April 2011 at a farm with 147 horses. Of these, 47 got sick, and 40 died. The second outbreak occurred in May the following year and involved nine properties. Of a total of 679 horses, 209 got sick, and 183 died. Before the two outbreaks, the disease had not been reported in Pará state since 1941. The main clinical signs observed in these horses were weight loss, abdominal swelling, toe dragging, and loss of pelvic muscle condition, Valíria Duarte Cerqueira and her colleagues reported. Necropsies were performed on two horses, one from each outbreak. Major changes were not seen in the horse from the first outbreak. However, the horse from the second outbreak exhibited emaciation, pallor and jaundice, as well as an enlarged spleen with prominent white pulp at the cut surface. The disease affects various domestic and wild mammals, such as horses, bovines, buffalo, dogs, rabbits, armadillo, coati and capybaras. The disease is known in Brazil as “surra”, “derrengadera” or “mal das cadeiras” – all popular terms that refer to a problem in the hind limbs and hips. T. evansi is present in nearly all continents − American, Asian, Oceania, African and Europe. South America has areas considered enzootic for this parasite. Transmission occurs through blood-sucking vectors, especially tabanids and flies of the genus Stomoxys, blood-drinking bats, and, probably ticks and leaches. In South America, wild animals, especially capybaras and ring-tailed coatis, are considered important T. evansi reservoirs. Capybaras are often implicated as the source of infection in horses during outbreaks. The authors noted that, in the two outbreaks, more cases occurred at the end of the rainy season, probably owing to a larger vector population during this period. The rainy season in Marajó Island is between January and June, with blood-sucking insects peaking at the end of July, when the drought period begins. In addition, the farm owners in this study reported a large number of leaches during the rainy season, which could increase the risk of T. evansi transmission since they could be vectors and reservoirs of the protozoan. “The possibility that wild animals, such as capybaras, coatis, and small wild rodents, act as a source of infection in trypanosomiasis cases in Marajó Island is very plausible,” they wrote. Farmers related that before the prohibition of capybara hunting, the population of this big rodent was controlled and they did not observe the disease in horses or capybaras. The disease outbreaks had a major economic impact on horse breeding in the region, the researchers reported. The island has a large horse population and their use for the management of cattle and buffalo was important. “In this regard, an immunosuppressive disease, like tripanosomiasis, can dramatically compromise the local economy. Reemerging of natural infection by Trypanosoma evansi in horses in Arari, Marajó Island, Brazil.